Located on Casino Strip Resort Boulevard, this Microtel Inn and Suites by Wyndham Tunica Resorts in Robinsonville, MS is minutes from a number of casinos including Harrahs Tunica Casino, Gold Strike, Hollywood and Fitz Casinos. This hotel is also convenient to outlet shopping, tennis, golf, tours of the Mississippi River aboard the Tunica Queen Riverboat, and Memphis International Airport. Start your day off right with complimentary continental breakfast, and take advantage of the complimentary Internet access anytime. Hotel also offers complimentary large-vehicle parking and a business center with computer access. Pets are welcome here. 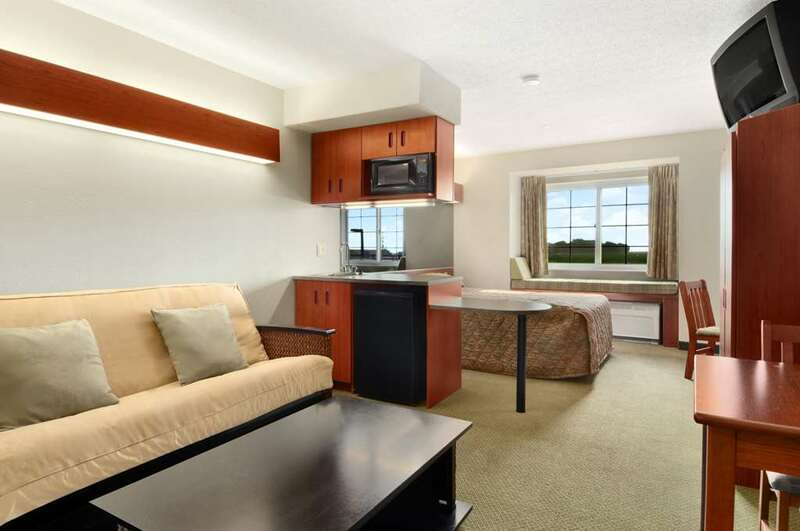 Rooms feature hairdryer and coffee/tea maker, and suites offer wet bar, microwave, refrigerator and sleeper sofa. Select suites are available with hot tub.